Ready or not, unified communications is starting to move to the cloud. A recent survey by BroadSoft predicts that cloud UC market penetration will jump almost six times in the next four years, from 7% percent today to 41% of the overall UC space by 2020. According to Gartner, “the UC-as-a-Service market as a whole is transitioning from the ‘early adopter phase’ to the ‘early mainstream phase’ for enterprise delivery.” Even those enterprises once reluctant to move to the cloud are gazing upward and putting small groups of users into the cloud. And yet many IT teams are still concerned about the risks of transitioning to the cloud and worried about maintaining the quality of the UC experience. This is understandable. When you’re migrating to a cloud solution for unified communications, not only do you have to worry about the performance of your own internal network, you also have to worry about that unknown network—namely, the Internet service provider’s network and the public Internet—which sits between you and your cloud vendor’s UC service. It’s hard enough to control the performance of your internal network, guaranteeing the performance of the ISP and public Internet is another matter entirely. For this reason, moving UC to the cloud is a larger challenge than moving other functions. If you’ve moved your document storage to the cloud and have to wait an extra 30 seconds for a document to download, it’s not the end of the world. But what if you’re on a conference call with an important customer and the network seizes up? This could potentially cost you business. * Embrace a hybrid approach. Moving to the cloud is not an all-or-nothing proposition. Many organizations take a hybrid approach, transitioning some systems while continuing to run others on-premises. This works for UC as well. It might be ideal for some functions to move to the cloud right away, while other functions, such as the contact center, stay on premises. 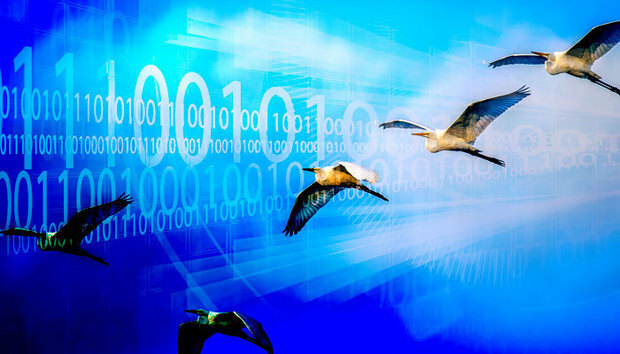 Before you decide how much or how little to migrate to the cloud, first ask yourself if your current Internet connection can handle the increased bandwidth or capacity needed for cloud applications. At a minimum, you want to make sure you have a reliable connection with sufficient bandwidth and level of service to meet the data requirements of your business. * Assess and test. It’s crucial to assess and test your environments before, during and after migration to to ensure readiness and quality. This is no time to cut corners. First, assess where you are today in terms of performance and create a benchmark so you know what you need to maintain a quality experience. Don’t test for just one call. Test for hundreds of calls simultaneously using different modalitys—audio, video, and content sharing to see where the breaking points are. Also, don’t just test for the number of users or usage patterns you have today. Test for what your usage will look like in the future and when you’ve added headcount. Also test for the type of usage you envision for you organization, such as desktop video conferencing, which you might not be using right now, but could be in the future. And don’t forget to keep testing every day. Networks are living, breathing entities and they change continually. Networks, even simple networks, are patchwork structures that grow over time; more end point devices, more storage, more computational power, and more administrative rules. That means continual testing is an absolute must. * Avoid the pilot trap. Beware of the pilot trap. It’s common to conduct a cloud pilot with, say, 500 users to see how it goes. This is fine and the pilot may be a complete success. But what happens when you go live and add another 5,000 users? Forced to handle this additional traffic, your new system may suddenly not work so well. At a minimum, you need to ensure your Internet service provider has provisioned you with the right levels of bandwidth to account for all potential users. * Proactively monitor quality and performance. When you proactively monitor the quality and performance of conferences and calls, you put yourself in position to troubleshoot issues and isolate problems before the user experience is significantly impacted. In a hybrid cloud environment, in particular, there is a lot of equipment from many different vendors in play. * Create a long-term, user experience management and performance-management strategy. You need a strategy that supports a broad set of vendors in your journey to the cloud. Most organizations today are not on a single unified communications platform, they’re on disparate platforms from many UC vendors. That’s why you need a holistic communications experience-management solution that can accommodate the vendors’ various technologies, especially as you shift from one platform to another and transition more and more of your UC operations to the cloud. Evolution is inevitable and the cloud is where many organizations are ultimately headed. But as you transition your unified communications from on-premises or managed services to the cloud, you must ensure that quality remains strong and the user experience robust. Follow the five steps above and your ascent to the cloud will be a successful one.